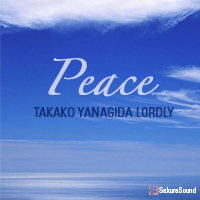 Enjoy Takako's music on Spotify! 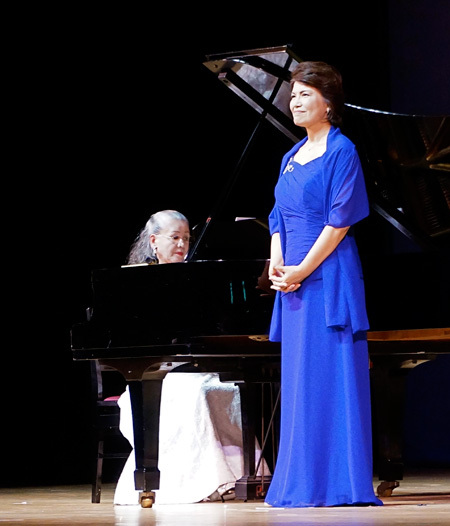 Takako had the great pleasure to return to Makurazaki in October 2016 to sing for old friends and new. 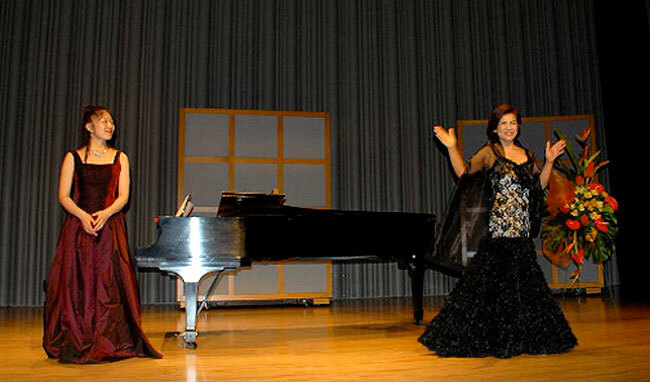 Takako with pianist Reiko Terazono. 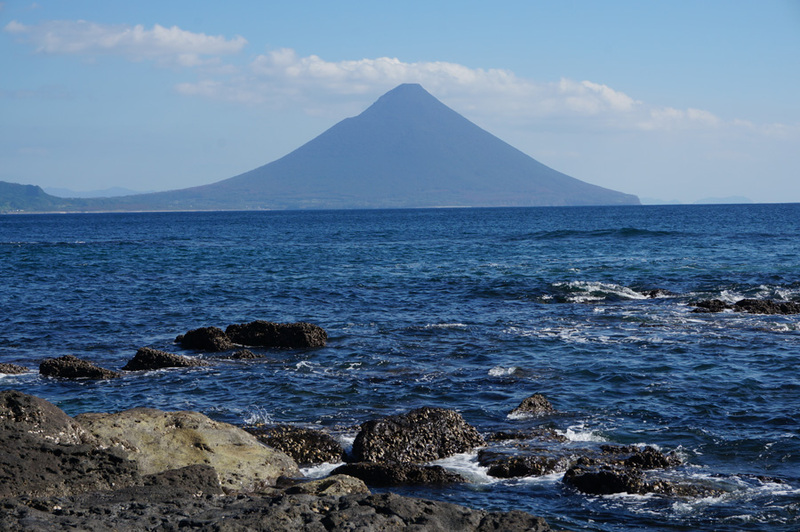 Just east of Makurazaki is the perfectly formed Kaimondake volcano. Takako recently had the pleasure to perform in the wonderful town of Makurazaki, at the southern edge of Japan, with pianist Reiko Terazono. The concert was presented by Makurazaki city and the Makurazaki Board of Education. 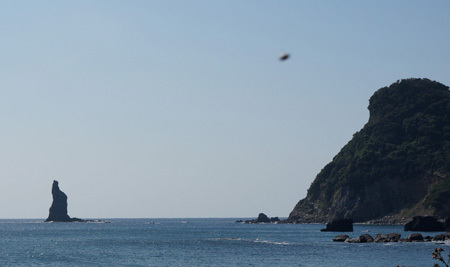 UFO sighting off the coast of Makurazaki? Accolades continue to pour in following Takako's recital at Toronto's Glenn Gould Studio. 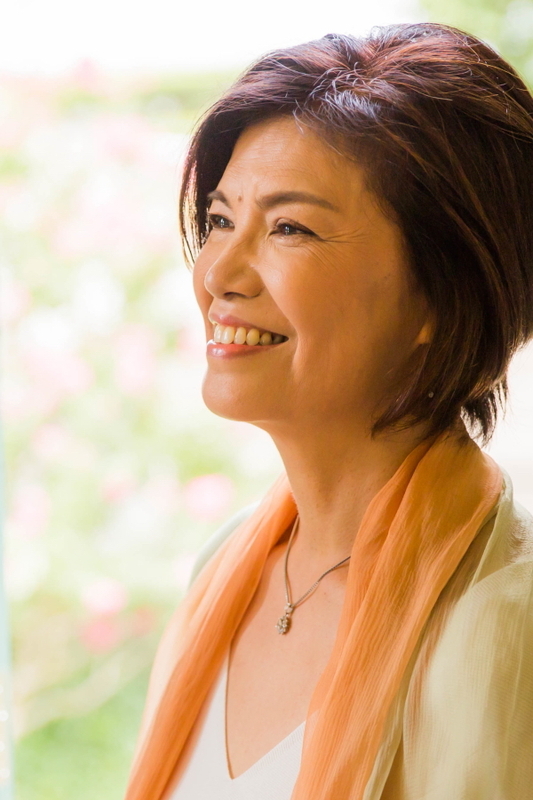 With Megumi Okamoto, piano, Takako performed selections from her recording, Sakura, featuring beautifully melodic early 20th century Japanese Art Songs, Schubert Lieder, and operatic treats for the highly appreciative full house. 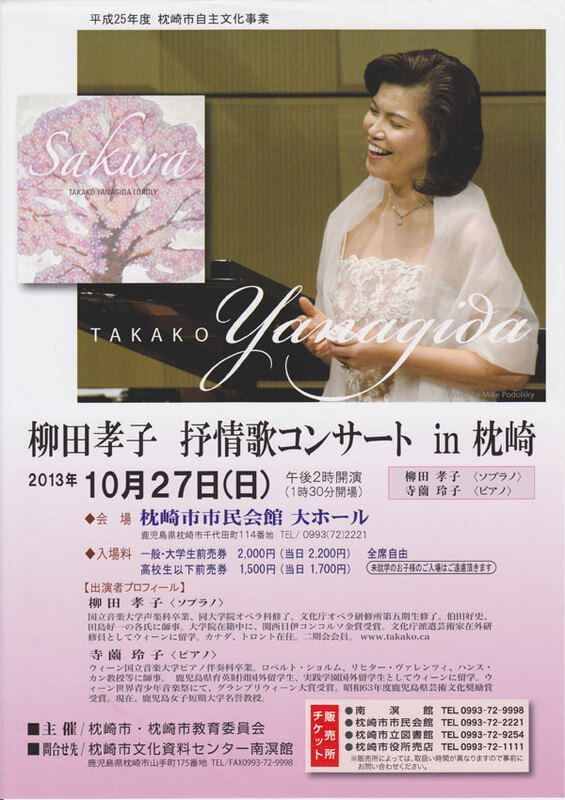 Review of Takako's Sasebo concert in the Yomiuri Shimbun. 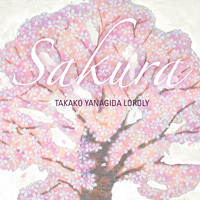 Following highly acclaimed performances in Japan, Toronto had a rare opportunity to hear soprano Takako Yanagida perform a program of exquisite Japanese art songs and opera classics to a full house at the Glenn Gould Studio. With Chiharu Zeng, piano. 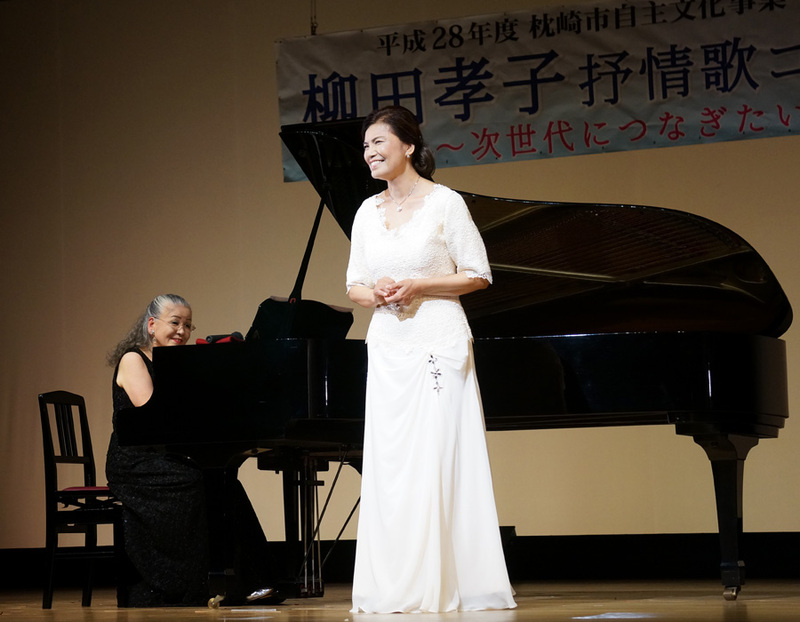 Takako recently returned from Japan after a very successful recital, 'Takako in Osaka IV', her sixth biannual solo recital in the Kobe/Osaka area. 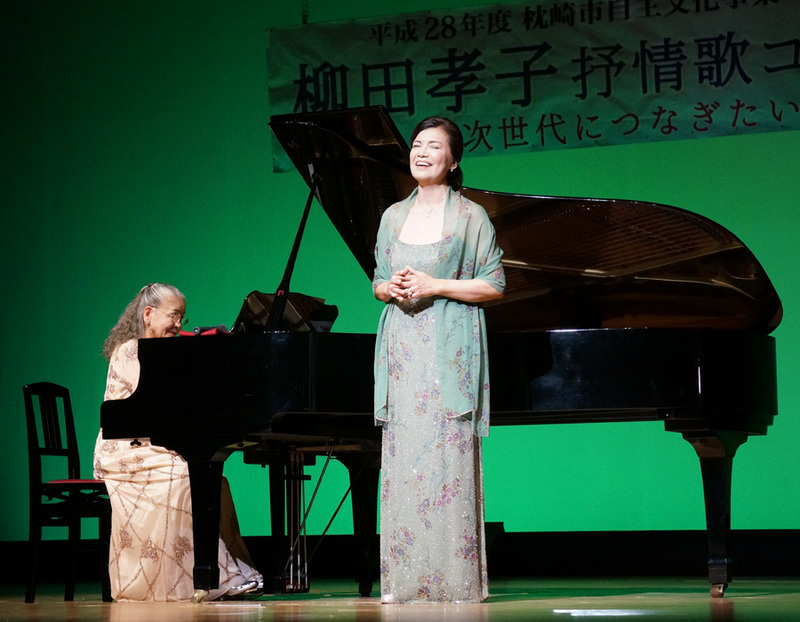 This enchanting program at the amazing Phoenix Hall included traditional and modern Japanese art song and opera favourites and was enthusiastically received by the full house. 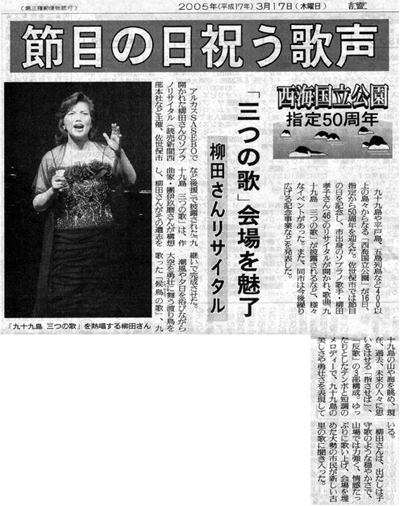 The recital was featured in the Yomiuri Shimbun, Japan's national newspaper. and tell us what you think of the site, and what you'd like to see on it. Or just write to say hello! Thank you for your comments! 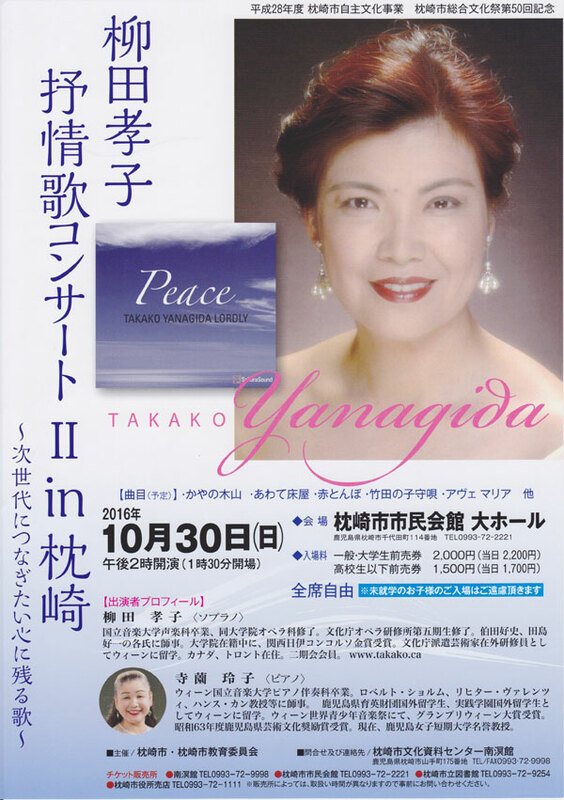 Soprano Takako Yanagida is based in Toronto and Tokyo, performing a repertoire including Lieder, Japanese Art Song, and Opera.